Gerard Way has announced he will headline London's infamous Brixton Academy next year. The former My Chemical Romance frontman broke the news earlier today (September 26th) after tickets immediately sold out for his upcoming show in the UK capitol in November. 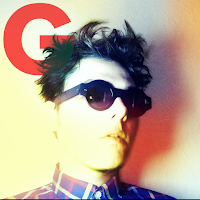 Tickets for Gerard's November tour and show at Brixton Academy (January 23rd, 2015) are on sale.